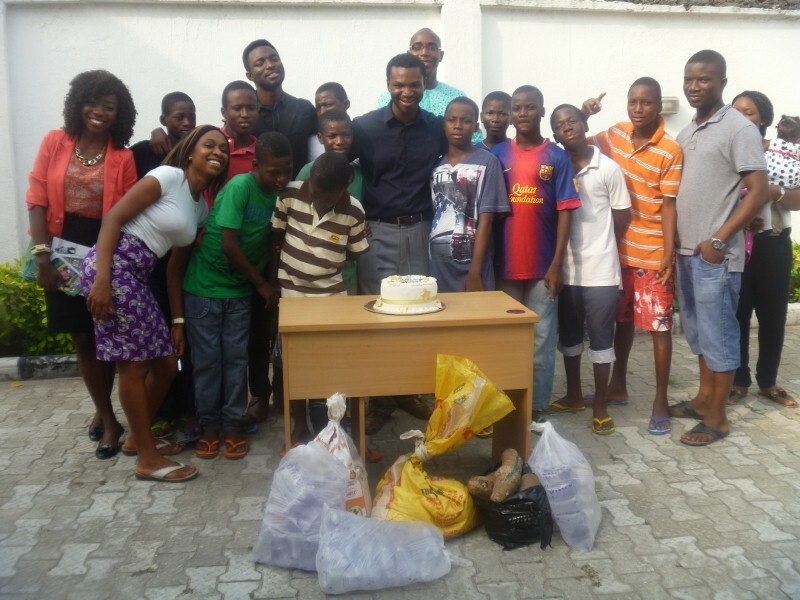 Toyin Eribake shares his experience about the visit to our Home in Lekki with his friends. I have to say quite honestly that those boys really spiced the day up for me. I can’t quite describe how. I’d played football with them before, but seeing them in the home at Lekki, was a different experience. All the boys that had been all shouty and noisy on the pitch were now quiet and homely. Most of them had to be coaxed out of their shells even. They first introduced themselves. Then the 5 of us that went there introduced ourselves. We then asked them about what they wanted to be and why. Interesting bit… We found some aspiring lawyers, electrical engineers, footballers, accountants and doctors amongst them. By GOD’s grace and willing men, may their dreams be aligned with GOD’s purpose for them which would be fulfilled in JESUS’ Name. Some of them were inspired by passion for football, some were intrigued by the workings of things, some were of course inspired to make money (sound familiar anyone…? ), but some inspired me because they were pursuing change. One boy (I’ll admit I forget his name – some of you know I don’t have the gift of remembering names, but I can remember his face and red shirt) said he wanted to be a lawyer so he could address the disparity between the way the poor and the rich are treated. Humbling and inspiring. And concerning… what has a 16 year old been through to have such drive? What can I do to help him achieve that goal if I think it’s noble? We also told them a little bit about the different things we do, and gave them some advice that hopefully might come in handy in the course of their lives. After that it we went to the Cake Corner (yes, this is a trend) and there are pics of this Cake Corner attached (below). I didn’t know what exactly to expect from this visit, but I’m glad we went. And I’m grateful for everyone that’s contributed and sacrificed to add value to the lives of these boys and other kids and people living under the poverty line. It takes a lot of commitment and while to be honest, I don’t wish I was given such a calling, I am glad to be able to contribute when I can and how I can. We don’t need birthdays or anything of the sort to remind us of the less fortunate people around us. Let’s cultivate habits of contributing increasingly meaningfully and in ways that can produce long term improvements. I was chatting with Chidi a few days ago and got a revelation. In the world people give after they are blessed, but we are Christians, we should give because we are blessed. Don’t wait to get rich, to have more of anything. Discover what you have now and give it, because you were given it. Ufuoma Emerhor (ufuomaee@hotmail.co.uk) and Toju Ashogbon (toj_4eternity@yahoo.co.uk) are the guys at Fair Life who discovered what they already had and decided to give now and not later (they’re both on the FoT and Devo threads). It always inspires and challenges me to see young people commit themselves wholly to the less fortunate. If you have any questions about Fair Life then I’m pretty certain they’re both eager to address them! 1. Your time and attention. 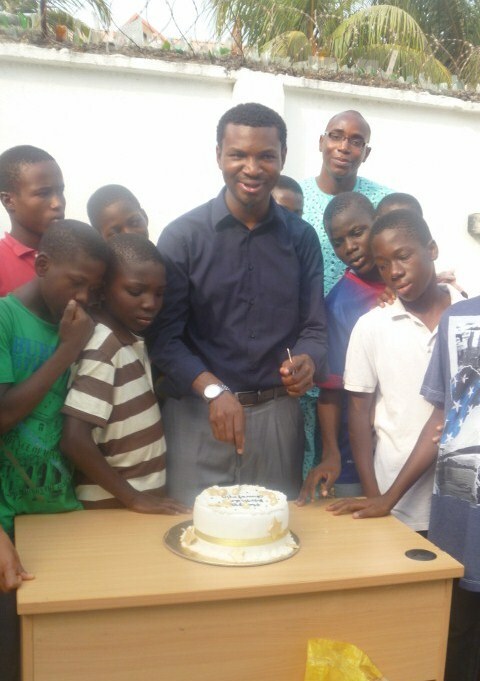 The boys are fully resident at the home in Lekki and if you could visit them regularly it would make a big difference. Love is invaluable. Talk to them, mentor one of them. Tutor them. The external attention could be just what one kid needs to pay that little bit more attention or exercise that little bit more of discipline. Come to make a friend and not to meet a goal, soothe a conscience or check a list or count a statistic. I’m not saying that to criticise, so please know that absolutely no offense or accusation is intended. What I just did was actually to list the things visits like this have meant to me (and sometimes still do to be honest). Only over time, have they started to become something more personal to me and impact to the others. So I’m saying that so you understand you’re not the only one that might feel that way, but start somewhere and you’ll find yourself in more pleasant places along the journey. The boys are all in school and as such they have school fees to be paid. Also some of the boys will be writing (and passing in JESUS’ Name) their final secondary school exams, so along with the tutorials I mentioned above, funding for these exams would be more than eagerly welcomed. Thank you so much for sharing your experience with your friends, and motivating others to give too. You are an inspiration and we wish you your heart’s desire! God bless you, Toyin!!! I love this post…toyin covered what we do well..he recapped his visit so precisely!